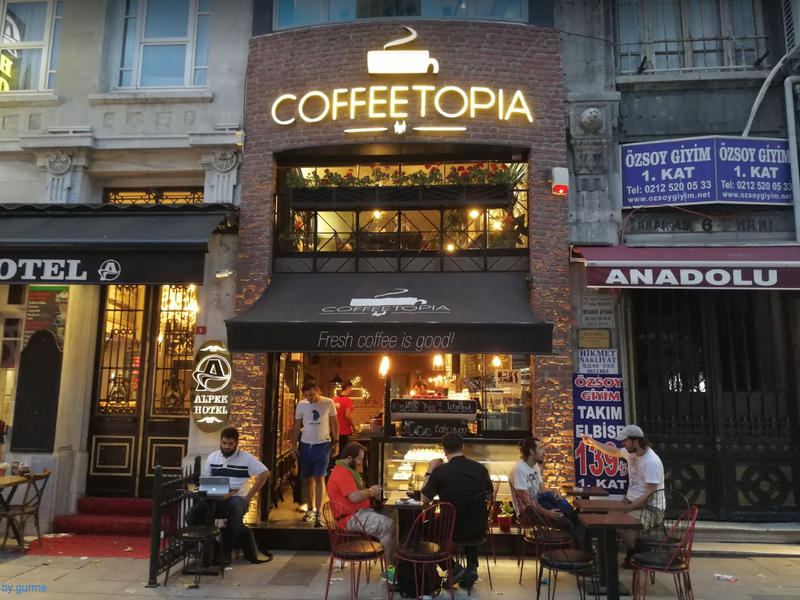 Coffetopia on Arpacilar Street, a bright new location near Istanbul's Eminiou tram stop. Photo by Gurme. Editor’s note: This new Pillar to Post series offers a general definition of a coffee drink from its country of origin and perhaps a local coffee house. 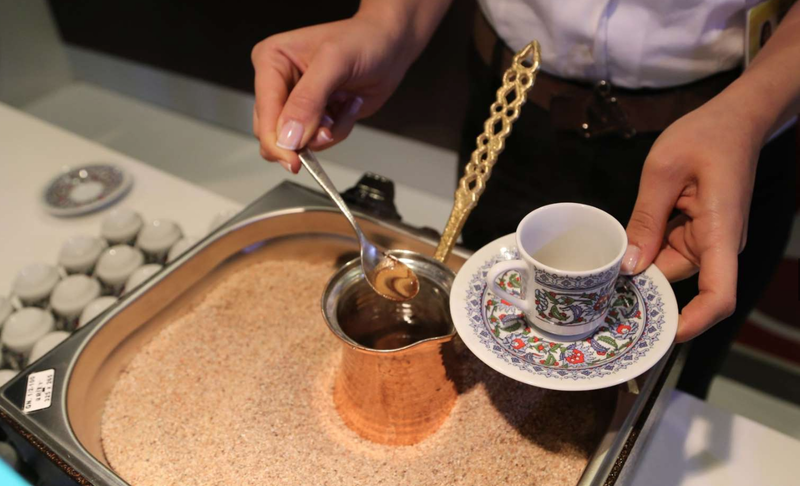 This month, we’re in Istanbul where they serve Turk Kahvesi or Turkish coffee, which is a brewed coffee drink served unfiltered in small cups. According to a popular Turkish proverb, a coffee worthy of drinking should be as black as hell; as strong as death and as sweet as love. Served from a long-handled copper pot called cezve, the Turks savor this thick brew mostly after meals. Thanks, Louis. He recommends quite a few coffee houses in the Sirkeci and Eminiou neighborhoods, near the famous Spice (Grand) Bazaar where you can buy or be served Turk Kahvesi. One of his picks is Coffetopia on Arpacilar Street, a bright new location near the Eminiou tram stop.